Norwegian Joy in New York. Norwegian Cruise Line has announced select 2020 and 2021 itineraries for 12 of its 17 ships. 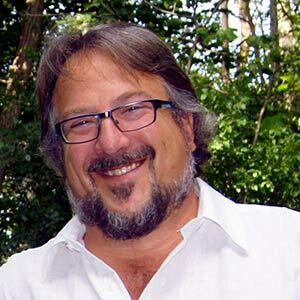 The itineraries include Norwegian Encore's debut in Seattle where she will sail seven-day cruises to Alaska alongside her sister ship Norwegian Bliss, as well as Norwegian Joy's arrival in New York for the first time. From 18APR, 2021, Norwegian Gem will sail a mix of seven-day Bermuda cruises from Boston as well as seven-day Canada and New England cruises from Boston and Quebec City, Canada. Visits include Bar Harbor and Portland, Maine; Halifax and Sydney, Nova Scotia; Saguenay, Quebec; and Charlottetown, Prince Edward Island. Following her Caribbean cruises from Miami on 24AUG, 2021, Norwegian Breakaway will sail seven-day Canada and New England cruises from New York. Norwegian Bliss, which launched last year, will be joined in Seattle this year and next by Norwegian Joy and in 2021 by the soon-to-debut Norwegian Encore. Both Norwegian Bliss and Norwegian Encore will offer a variety of seven-day cruises. All of Norwegian Encore’s Alaska itineraries will feature Glacier Bay. Norwegian Joy will sail to Alaska, visiting Juneau, Ketchikan and Icy Strait Point as well as Victoria, BC from APR-OCT 2020. Beginning 10MAY, 2021, Norwegian Jewel returns to Vancouver and Seward to sail seven-day Glacier Bay Northbound and Inside Passage itineraries. As of 13APR, 2021, Norwegian Breakaway will cruise a mix of five, seven and nine-day Eastern, Western and Southern Caribbean cruises from Miami. Her Eastern Caribbean sailings will include calls to Puerto Plata, St. Thomas, Tortola, and Norwegian’s private island, Great Stirrup Cay in the Bahamas. Her Western Caribbean cruises feature visits to Roatán Island, Costa Maya, Cozumel and private destinations Harvest Caye. Norwegian Breakaway’s Southern Caribbean cruises will visit Aruba, Curaçao, Bonaire Puerto Plata. 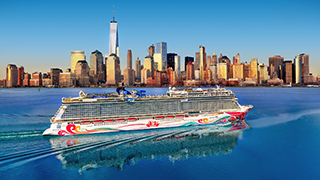 Beginning 14APR, 2021, Norwegian Joy will homeport in New York City for the first time, sailing a mix of Bermuda as well as Canada and New England cruises. Her seven-day Bermuda sailings will offer guests three full days to explore the island, while her five-day Canada and New England voyages will feature visits to Portland, Maine and Halifax, Nova Scotia. On 25APR, 2021, Norwegian Epic will return to Europe to sail seven-day itineraries from Barcelona, Spain and Rome (Civitavecchia) with calls to Naples and Florence/Pisa (Livorno), Italy; Cannes, France; and Palma de Mallorca, Spain. Beginning 2MAY, 2021, Norwegian Dawn will once again cruise the Greek Isles from Venice, Italy with seven-day sailings that include visits to Kotor, Montenegro; Dubrovnik, Croatia; and Corfu, Santorini, Mykonos and Argostoli, Greece. As of 29APR, 2021, Norwegian Getaway will offer 10 and 11-day cruises to the Greek Isles and Italy from Rome, with stops in Kotor, Montenegro; Dubrovnik, Croatia; Corfu, Santorini, Mykonos and Athens, Greece; and Naples and Florence/Pisa, Italy. Returning to Europe on 28MAY, 2021, Norwegian Escape will offer nine-day cruises to the Baltic region from Copenhagen, Denmark with calls to Warnemünde, Tallinn, Helsinki, Stockholm and an overnight in Saint Petersburg. Beginning 9MAY, 2020 and opening for sale on 1MAY, 2019, Norwegian Spirit will sail a variety of port-intensive itineraries from Tokyo and Hong Kong. These 11 to 15-day itineraries will feature bucket-list worthy destinations including calls to Shanghai, Beijing, Osaka, Okinawa, Mount Fuji, Sapporo and Taipei. Norwegian Jewel will sail a variety of French Polynesia, Hawaii, and South Pacific cruises in spring 2020 and spring 2021. Opening for sale on 17APR, 2019, these 11 to 21-day sailings will cruise from Sydney, Papeete, Honolulu, and Vancouver, featuring visits to destinations such as Bora Bora, Moorea, Raiatea, and Nuku Hiva in French Polynesia; Lautoka, Suva, and Dravuni in Fiji; Noumea, Lifou, and Ille des Pins in New Caledonia; Mystery Island, Espiritu Santo, and Port Vila, Vanuatu; and the Big Island, Maui, Kauai, and Oahu in the Hawaiian islands.